Form actors with excellence, this is the mission of Actors Wolf Maya School. 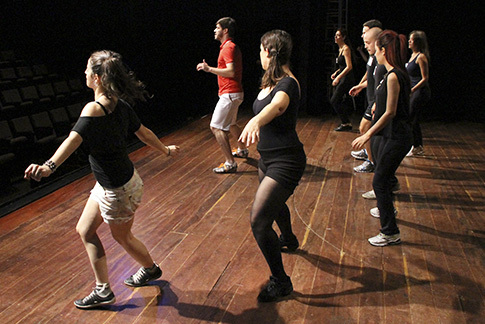 In its regular course, with acting classes for TV and theater, vocal and body language, theater history, dramaturgical analysis and theatrical production, the course lasts three years, with classes twice a week. Classic readings of literature are mandatory, as well as an immersion in the national and international cultural scene, with visits to theaters and cinemas. • Value for payment of the registration. 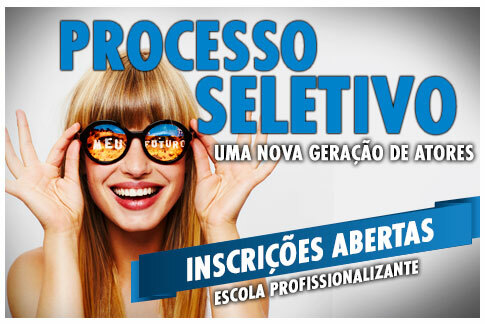 • Pass the selection process. IMPORTANT: under 18 years old, you must be accompanied by parent or guardian with documents. Payment must be effected at registration. The Wolf Maya’s Actors School is a reference in Latin America for training actors. In it’s regular course, lasting 03 years, applies a rigorous selection process. 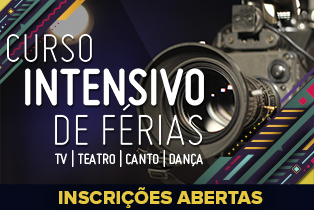 The course consists of theoretical and practical classes of Theatrical Interpretation, Interpretation for TV, Improvisation, Vocal Expression, History of Theatre, Corporal Expression, Dramaturgical Analysis, Theatrical Installation and Video Project. In our teaching method based on Stanislavski and constantly updated, the student learns and puts into practice their knowledge on the set, on stage and in the classroom. You must participate in the selection process and be approved to validate your registration. Get ready to study hard! In our course students are assessed monthly and also the end of the 2nd year they are subject to an assessment of teachers. Students approved for the past year, held two theater shows (with open season to the public at the Nair Bello Theater) and record two video projects. At the end, students receive a certificate that entitles the DRT (professional record). The modern actor should be complete. And for that he must always seek new knowledge and specialize in what they already know. Thinking about it, we have worked out all our courses. The course covers notions TV, Theatre, Musical Theatre, Cinema, for beginners or for those looking professional increase. • Participate in mandatory interview (scheduled). Interpretation for TV, Theatre, Cinema, Musical Theatre. Come to study three weeks in Wolf Maya’s Actors School ! Learn Theatre notions for TV, Film and Musical Theatre, or increase all your skills. We believe that the modern actor should be complete. And for that, he must always seek new knowledge and specialize in what they already know. With this in mind we have developed all our courses. 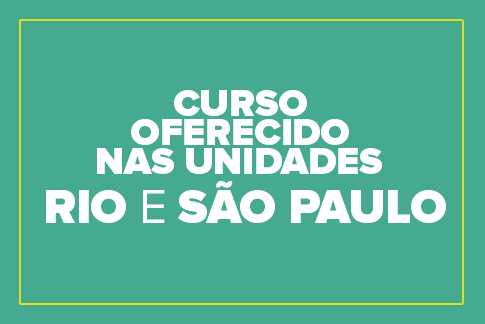 HOURS: 14h às 18h | 19h às 23h. With a methodology for Wolf Maya, the course offers students interpretation exercises for television, with a dynamic based on the practice of recording and evaluation of scenes. So the actor understands and exercises a relationship on the scene with cameras and its result on the screen. With theater games based on the Stanislavski system, the student develops improvisation exercises and presentation of scenes which will be evaluated daily by the teacher. In this course, are developed techniques of structural corner, applied to any aspect of music, focusing on musical theater, dance, with a focus on Jazz Music, where students are encouraged to develop and present a musical number in the classroom. 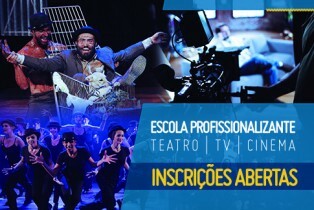 Interpretation Intensive TV, Theatre, Cinema, Musical Theatre. 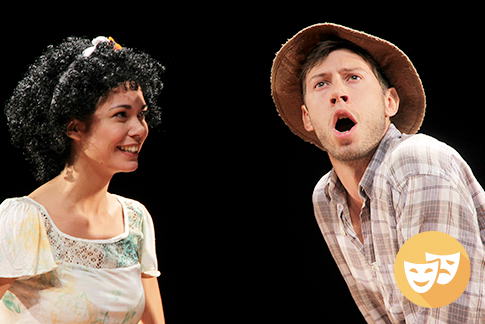 Come to study three weeks in Wolf Maya’s Actors School ! Learn Theatre notions for TV, Film and Musical Theatre, or increase all your skills. We believe that the modern actor should be complete. And for that, he must always seek new knowledge and specialize in what they already know. With this in mind we have developed all our courses. 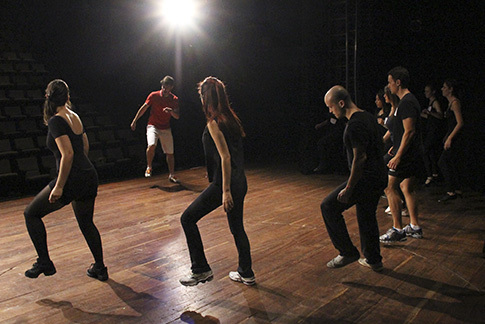 In theater, through theater games based on the Stanislavski system, the student develops improvisation exercises and presentation of scenes to be evaluated. With a methodology for Wolf Maya, the course offers students interpretation exercises for television, with a dynamic based on the practice of recording and evaluation of scenes. So the actor understands and exercises a relationship on the scene with cameras and its result on the screen. The methodology developed by Wolf Maya provides students with the field of acting techniques to camera, allowing them to develop their performing skills in television and film languages. From the recording of dramatic scenes and constant evaluation of teachers, are worked positioning techniques on the scene, framing notions of areas, plans and camera movements, and other specific exercises to operate the camera. • Value for course fees. Try the routine of a professional studio and learn from the best teachers in the market. The methodology developed by Wolf Maya takes students the field of acting techniques to camera, allowing them to develop their performing skills in the languages of Television and Cinema. From the recording of dramatic scenes and constant evaluation of teachers, are worked positioning techniques on the scene, framing notions of areas, plans and movements of the cameras, and other specific exercises to operate the camera. * Tuesdays and Wednesdays **, Thursdays and Fridays *** or * Fridays and Saturdays ** (* Practical Approach / ** Assessment). For those who want to start a process of action learning for cameras. Here, the student will have the first contact with the camera, learning concepts of positioning, set, lighting and visual composition of character. For those who already have experience with interpretation for TV and want to improve their knowledge. The course brings the development of dramatic scenes with actor application integration techniques with the camera. Developed to professional actors with an interest in acting for TV. The proposal here is to improve the performance of techniques to TV through recording complex dramatic scenes. The second most popular course of the school, for his complete training the actor in search of learning for musical theater. Done in seven months, the course takes the actor to a deepening to the universe of music, learning techniques of voice and singing, dancing, tap, interpretation. At the end of the course, a show on stage at the Theatre Nair Belo marks the end of the course and the excellence of learning. 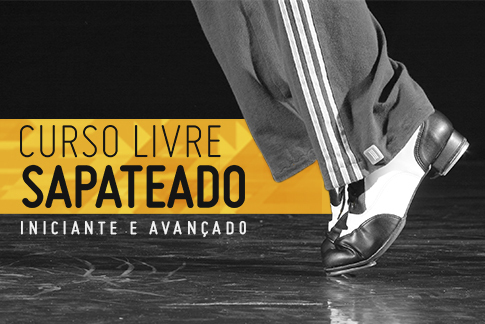 Tap, jazz, Singing and Theatrical Interpretation. The course has an exclusive talk with director Wolf Maya, and show completion, with the assembly of the musical “Hair”, being on display for 1 month. 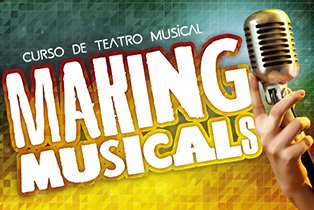 Professionals, amateurs and stakeholders in learning more about the musical theater. Monday to Friday, from 10am to 12pm. IMPORTANT: Minimum necessary frequency by 75%. 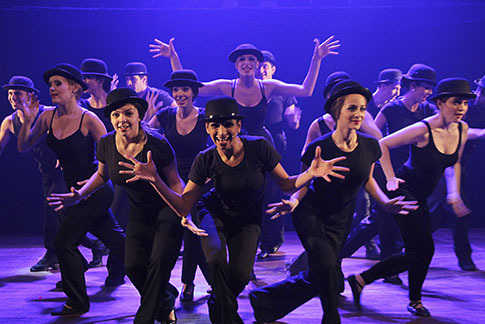 The tap of course is done in 4 months and has modules, where students can meet and learn about the history and origin of tap dance and choreographic techniques with classes 100% practice.